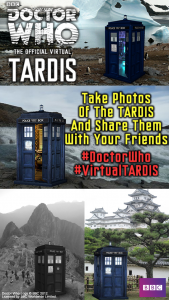 Turn your device into a virtual TARDIS, or see the TARDIS in the REAL WORLD and share photos! 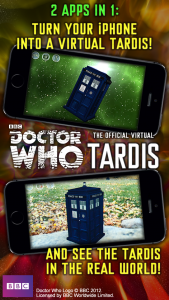 The OFFICIAL Doctor Who: Virtual TARDIS app! 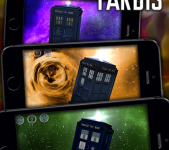 Turn your iDevice into the Doctor’s TARDIS, and travel through space and time! 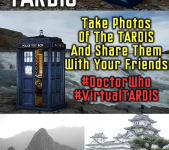 Or see the TARDIS in the REAL WORLD and take and share photos! 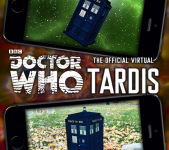 All this and more with the Official Doctor Who Virtual TARDIS app! 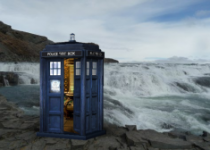 Your imagination is the limit as your iDevice becomes the Doctor’s TARDIS! 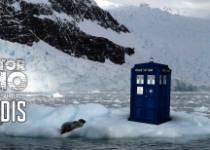 The TARDIS will read your movements giving you full control over it’s flight! 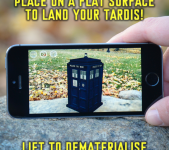 Place your iDevice on a flat surface to land the TARDIS, complete with light and sound effects. Lift it to take off. Move around to fly. 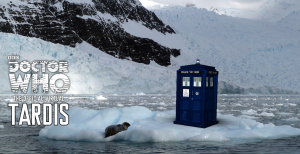 Move fast and you’ll fly the TARDIS into the Time Vortex and explore the universe! 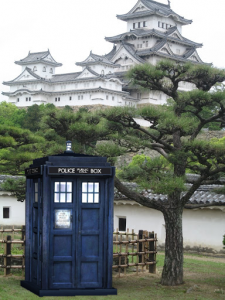 Next, see the TARDIS in the REAL WORLD! 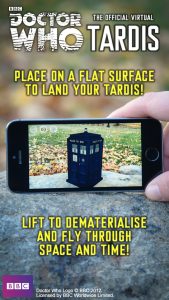 Look around as if you’re taking a photo and see the TARDIS spinning above you, or touch the ground where you’d like it to land and watch it materialise before your eyes! 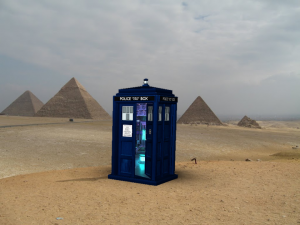 Rotate and scale the TARDIS to line up the perfect photo, then take and share your images on Facebook, Twitter or Flickr. 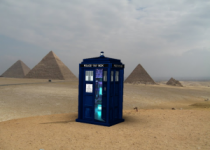 - The TARDIS has changed over the past 50 years, select your version to fly through space and time! 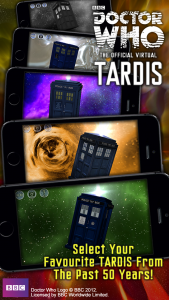 The app includes the Tenth & Eleventh Doctor’s TARDIS designs, as well as the TARDIS from the 80s, 70s and the original from 50 years ago. Choosing this design even makes everything black and white, just like the First and Second Doctor’s adventures! 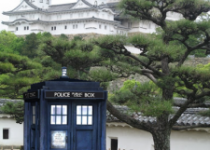 – The virtual TARDIS has motion controls to control it’s flight, and the live augmented reality background means you can play seamlessly with other toys. – Fly fast to enter the Time Vortex and visit distant galaxies, then fly back again to return to the real world. Your imagination is the limit! 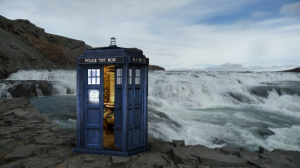 – Tap the TARDIS to open the door and see inside! – Authentic graphics and sound effects from the most successful science-fiction series in the world. 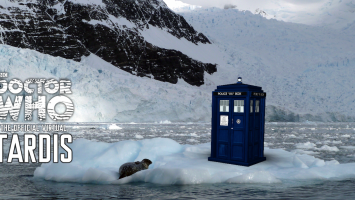 Since “borrowing” his TARDIS from the repair shop on Gallifrey, the Doctor has been exploring the endless wonders of the universe. Whether you choose to fly your virtual TARDIS to the planet Skaro, or just to the end of the garden path, get out there and explore! BBC, DOCTOR WHO, TARDIS, are Trademarks of the British Broadcasting Company and are used under license.